UPDATE: According to TribLive.com – 2018 Pennsylvania State Champion Logan Macri of Canon-McMillan – was shot multiple times by Police early Sunday morning after he refused to drop a firearm during a domestic disturbance. Macri’s condition is unknown at the time. 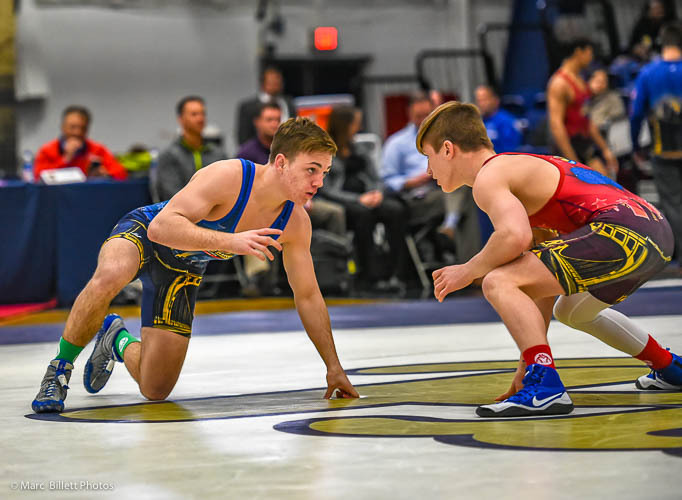 The 19-year-old had a storied career for the Big Macs following in the footsteps of his older brother Dalton, a 2014 PIAA State Champion, amassing a 152-30 career record and being selected to represent Team Pennsylvania in the Pittsburgh Wrestling Classic. Macri originally committed to compete for University of Tennessee at Chattanooga after graduation, however, head coach Heath Eslinger resigned and Macri was given a release. He ended up at West Virginia University and was listed on the Mountaineer’s roster at 125 pounds but it’s unclear if he was still enrolled at the time of the shooting.